Not all Presidencies in America are on the precipice of collapse. 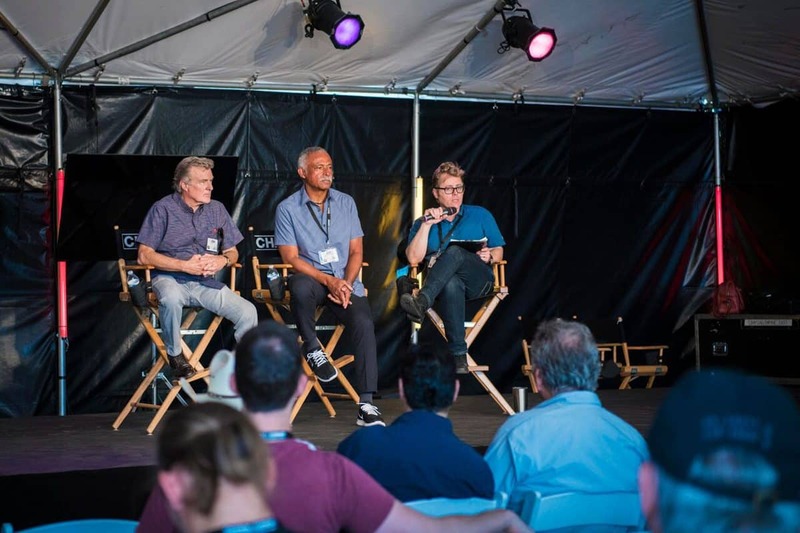 Kees van Oostrum (above), the DP behind films such as Gettysburg, series like Return to Lonesome Dove or the current The Fosters, as well as director of the film A Perfect Man, has just been re-elected to a third term as President of the ASC. “Vermeer,” replied the Amsterdam-reared van Oostrum, citing the painter who deployed all those groundbreaking techniques used by the Dutch masters for the “capture” and replication of light. Remembering his answer, we asked him where, in our age of digital cameras and workflows, was the act and art of “light capture” headed now? “Hopefully to the Rijksmuseum in Amsterdam,” he replied, deftly picking up the theme from earlier in the spring, “where besides Vermeer there are a few other fellows that can teach us about color, contrast, framing and, believe it or not, the true application of HDR! To me, HDR - the new sauce of the future - is best explained by visual artists like Rembrandt who use the extended range to create detail in the darkness of the world instead of the brightness. 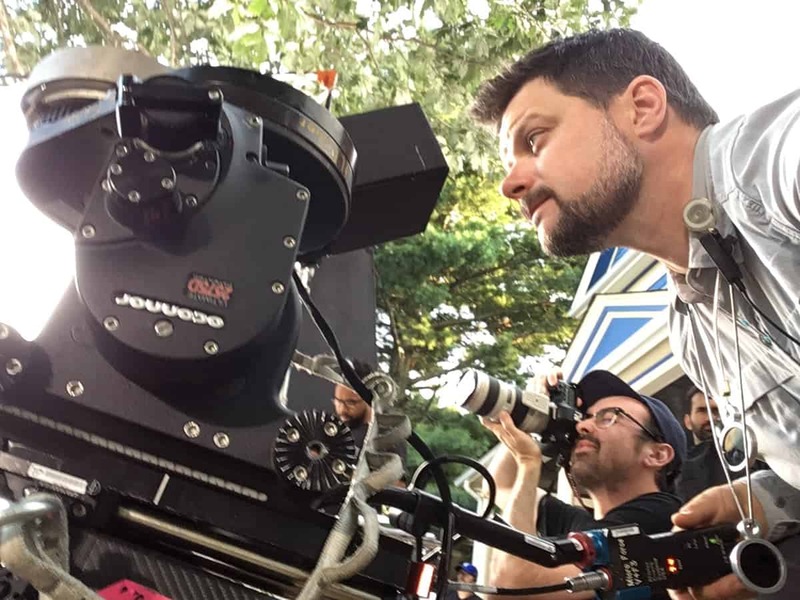 Not only does that knowledge save both time and money on set and in post, as van Oostrum notes, but it can also inspire subsequent generations of cinematographers. Which brings us to another new recurring feature in this column. 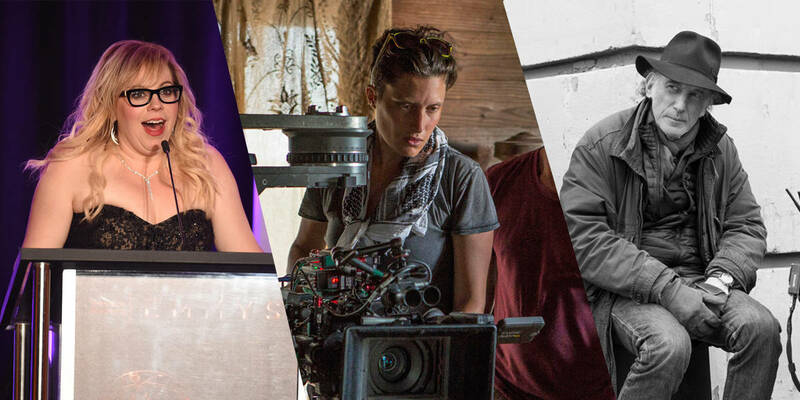 Along with interviewing those behind the lenses of new work for screens both large and small, and our ongoing overview of trade shows, facilities, and the various award shows and festivals, we’re also starting an occasional spotlight where we talk to DPs about the cinematographers who have influenced them. This began when the great Owen Roizman was given an honorary Oscar last year, and the various contenders and nominees we talked to over the fall and winter, like Janusz Kaminski, kept mentioning the range of Roizman’s work - from documentary grittiness to kinetic action sequences - and the effect it had on their own work. The chats even prompted a rewatching of The French Connection at this end - Roizman’s first Oscar nomination - and we’re still marveling anew how they worked out all that camera placement (including inside Gene Hackman’s car) for the great under-the-train tracks chase. Now, however, we’ve moved from Oscar to Emmy season - and we’ll have more of the latter as we head into fall - we reached out to DP Alan Jacobsen, of the Emmy-nominated documentary Strong Island, from openly trans filmmaker Yance Ford, about the murder of his then 24 year-old brother by an auto mechanic, for which a Grand Jury declined to bring charges. Ford’s brother, besides being African-American, was also unarmed. "I was raised on a Hollywood diet of Spielberg, Lucas, Reiner, etc... when I saw Mystery Train (Dir Jim Jarmusch, DP Robby Muller) it was like "what is THIS!?!" The colors, the contrast, the weird lingering wide shots... I didn't really get why, or how, but it was the beginning of my realization that the photographic mood of a film can be, not just the dressing of, but a fundamental part of the story." Of course mood and light are somewhat indistinguishable (when they’re not juxtaposed) - not only during long grey winters, as we’re finding out, but as Jacobsen noted, as an intrinsic part of what a cinematographer does. 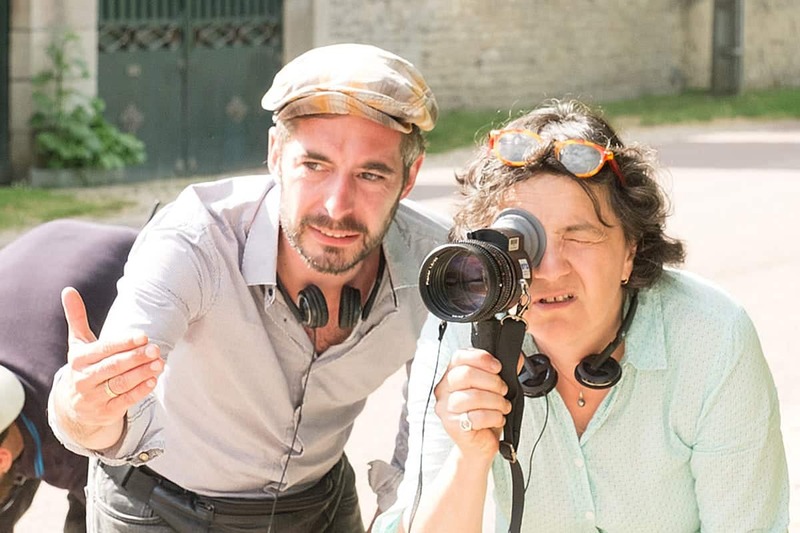 So it was no surprise that when we talked to French DP Nathalie Durand, who shot writer/director Xavier Legrand’s Custody, about a divorcing couple where a father’s seeming grief at being separated from his children is only a thin line away from becoming a stalker - or worse. The mood in this particular film is closer to a suspense thriller, in terms of pacing, the use of dread and anticipation in shot selection and framing, use of sound, etc. They also wanted the freedom digital gear offered because of working with young character actor Thomas Gloria - playing the one under-age child over whom the custody battle is primarily waged - and not wanting to be limited in takes. One might have thought that a Hitchcock DP like John L. Russell or George Barnes would be mentioned, given the building anxiety the film creates, but the first director Durand mentions is Alain Resnais - and his Providence lenser, Ricardo Aronovitch. Godard has shot a lot for director Claire Denis, and is still working, and her body of work perhaps reminds us that female DPs don’t always have to be a “novelty,” the way they still too often are here. And as we note, and celebrate the ways different cultures can learn from each other, we swing back around to Mr. van Oostrum, who ended our interview with a similar observation. 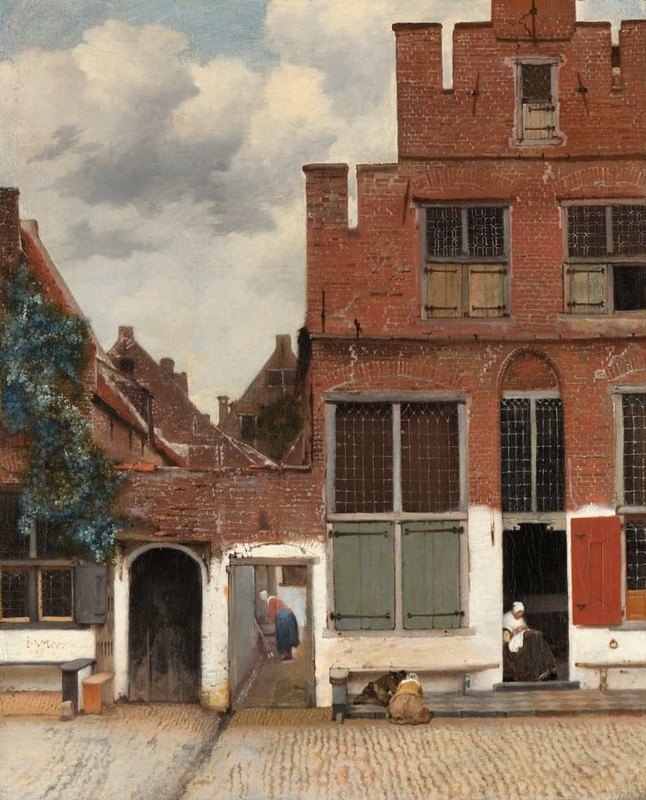 Johannes Vermeer "The Little Street"
Which also brings us back to the Rijksmuseum. One of the most prominent Vermeers there is The Little Street - another great work showing he was, perhaps, a genius cinematographer in his own right, mere centuries before the gear had been invented. 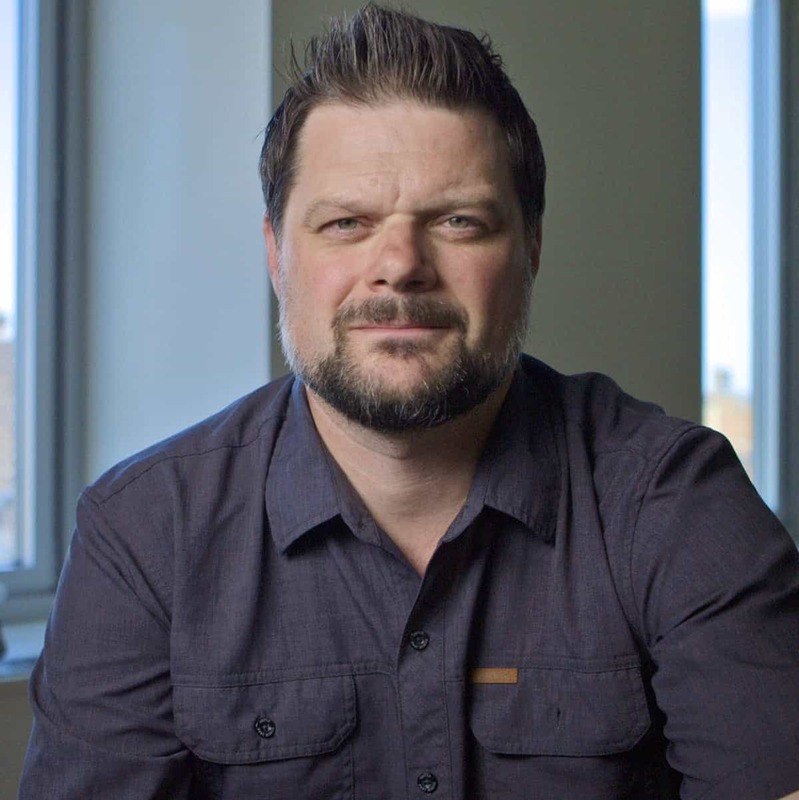 Or perhaps, the “messy, broken, saturated, pointed light of life” that Jacobsen attributes to the work of Muller. More movies, mentors - and of course Emmys - ahead.